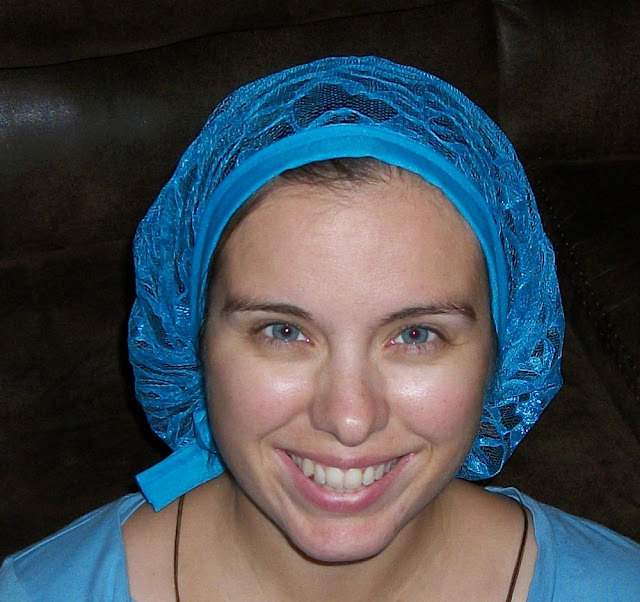 Someday I'll Sleep Autism Blogs: The Latest in Snoods! I'd taken a little time off making snoods over Christmas and lately have just been working on incoming orders. However last night I came up with a new crepe and lace snood (it's already listed in the store) and I just had to share it here! I think I look sleepy... This is what pattern writing does to me... it makes me want to take a nap! 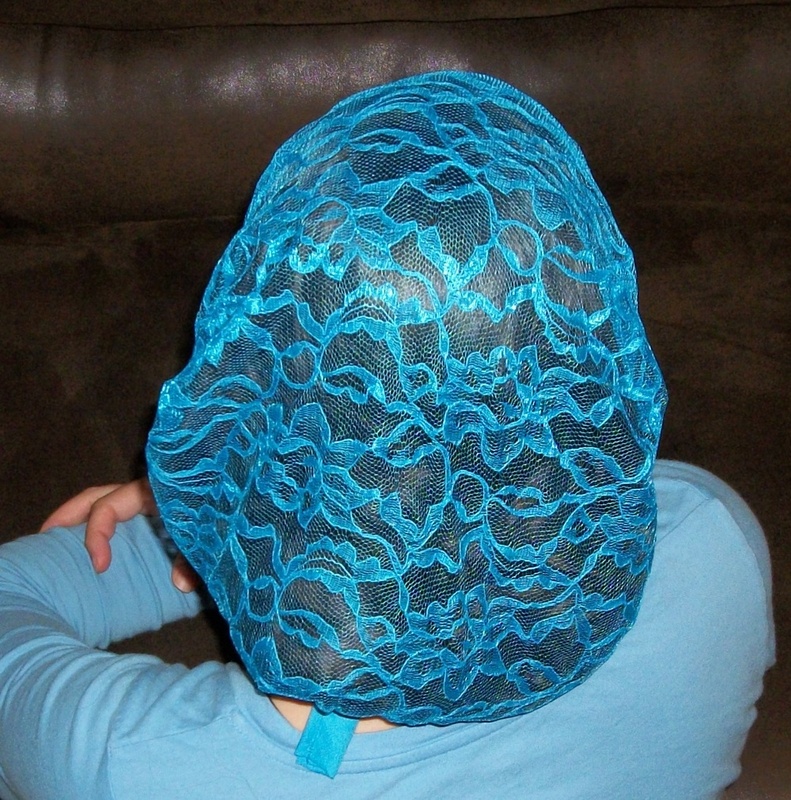 Now if only these were as easy to make as my other lace snoods! In other news I've now sold over 100 headcoverings! And tomorrow is the store's eight month anniversary! Congratulations! I have a question. I use bobby pins to help keep my snood or my scarves on my head. But yesterday, at Mass, my rather jealous and tired (a horrible combination for Mass) toddler yanked the whole thing right off my head and tossed it. Any ideas for toddler proofing? A comb maybe (with veils I'd take a comb and sew it in with just a few stitches, which also makes it easy to remove)? I've found that if they really yank hard enough it's pretty much impossible to keep anything on (even with a comb). Mae Bae was gunning for my snood for the entire Mass yesterday. Thankfully she couldn't get a good enough grip on the edge to really get it. 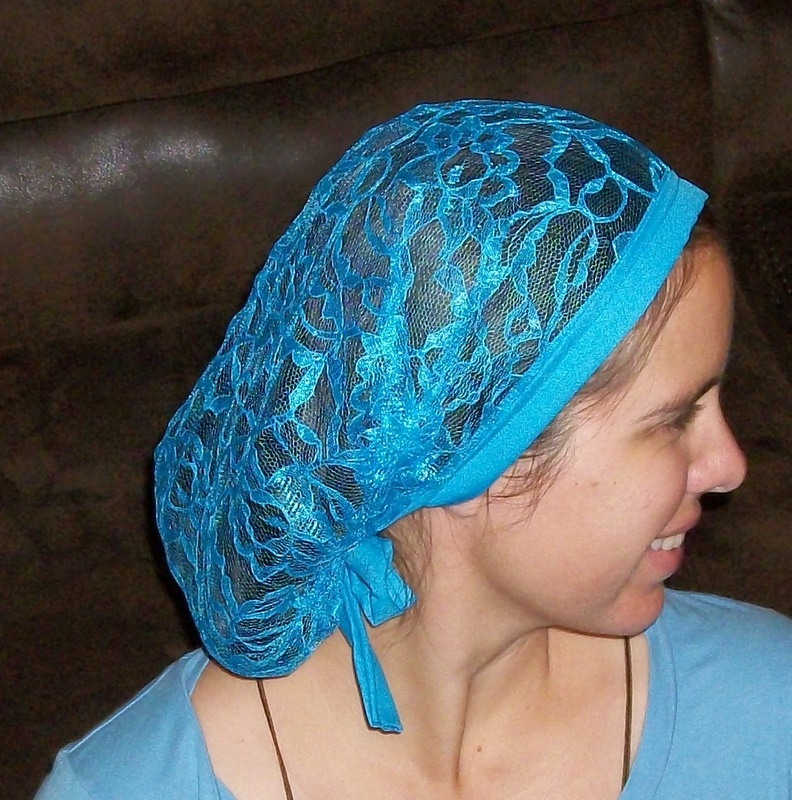 Do you ever make the regular triangular lace veils the kind you just drape over your head and it hangs down? I can't wait to get one of these! Just haven't pulled the trigger on ordering one, but I really want to, and seeing you in your snoods really inspires me!